The beautiful anchorage just outside of Hopetown Harbor. After spending most of our first few weeks in the secluded islands of the Exuma Cays, we were all ready for a little more human contact. 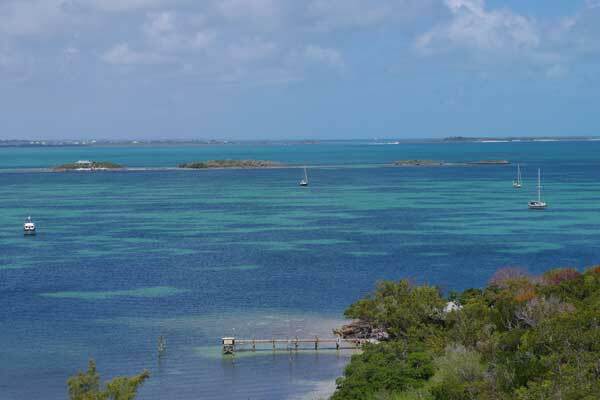 We had been told by fellow cruisers not to miss Hopetown and Marsh Harbour, so we were interested to find out if the Abaco Islands lived up to the hype. 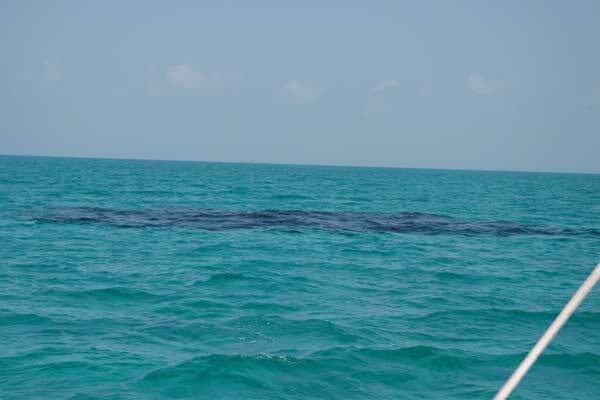 The crystal blue water was dotted with these ominous black circles. Do Not Hit! Before we could start having fun however, we had to make the trek to get there! Our first day from Ship’s Channel Cay to Royal Harbour took us through the Middle Passage, a path filled with coral heads that had to be dodged if we didn’t plan on leaving our boat at the bottom of the bank. I stayed on the bow for almost 2 hours directing Dan around the large black/brown spots on the otherwise crystal blue water. As the saying goes: if it’s brown, you’re going down! Our next day up to Little Harbour was one of the bumpiest we’ve had so far, with 4-5 foot seas on the beam rolling in from the open Atlantic, aka a seasickness party for Carter and me. The lighthouse is still operated manually and open for self-guided tours every day. Our first major stop in the Abaco Islands was Hopetown, Abaco. The picturesque harbor town complete with red striped lighthouse was like a scene from a postcard. 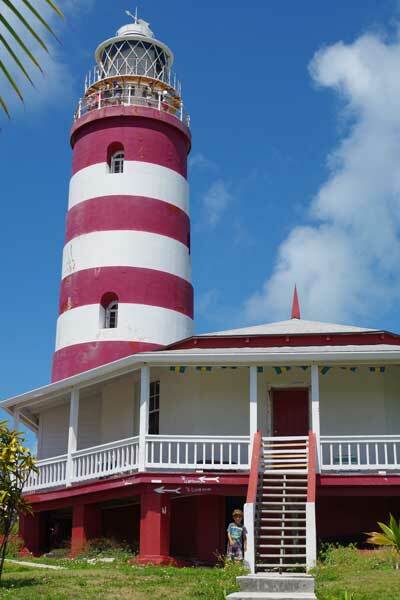 Hopetown would be a great place to spend a vacation, with the beautiful Atlantic beach and protected harbor and just a short ferry ride to the other destinations in the so-called “Hub of Abaco.” We had a great time climbing the lighthouse and strolling through town. We also had to have a taste of a Vernon’s Grocery Store’s famous key lime pie, which was every bit as good as the guide books claimed. I’m pretty sure I could go that low…but I wouldn’t be getting back up! Next on our itinerary was Marsh Harbour, the third largest settlement in the Bahamas coming in at a whopping 5,000 permanent residents. While we wouldn’t consider this one of our favorite spots for visiting, it was fantastic to be able to get some chores done and find parts that would have been nearly impossible to get in other areas of the Bahamas. 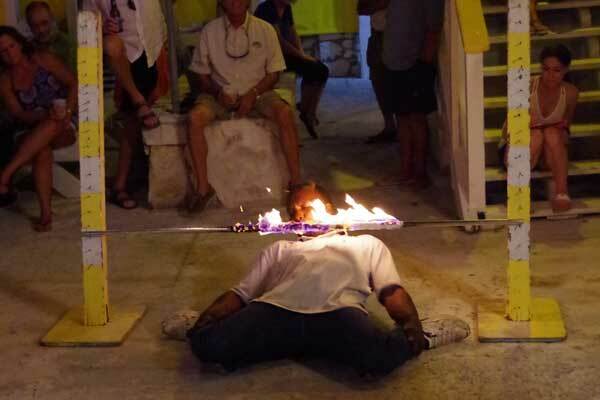 We did have a bit of a splurge night by attending the weekly BBQ buffet night at the Jib Room, complete with Bahama-style mariachi band and limbo performer (limbo-ist?). The food was good, the company fun, and we all had a great time. 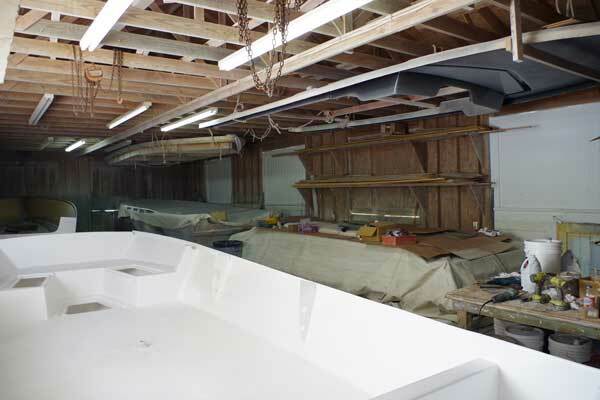 We visited on a weekend, so the workers weren’t in the shop, but it was still fun to see the boats in progress. 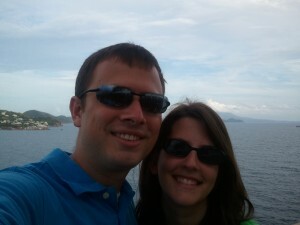 The last point of the Hub’s triangle was Man-O-War Cay, a lovely town in which you can slow down. Because the island has a ban on the sale of alcohol, there are much fewer tourist establishments and no traditional beach bars. What they lack in party atmosphere, they more than make up for with the authentic feel of the community that has been mostly supported by their famous sail loft and boat workshop on the island. It was a great compliment to the other settlements in the Hub, especially after a few days of chores in Marsh Harbour. 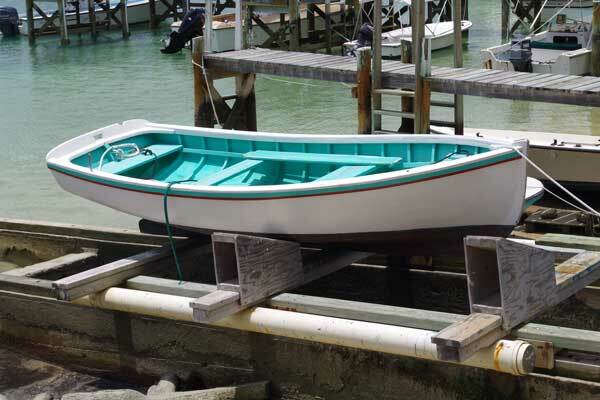 Picturesque handmade boats were in abundance on Man-O-War Cay. The Hub of Abaco was a completely new side to the Bahamas that we are glad we got to experience. While the area certainly can’t compete with the sheer intensity of natural beauty in the Exumas, it still has plenty of its own charm and flavor. The proximity of the destinations to each other makes it a perfect vacation destination or charter area and we would encourage anyone to give it a try if you haven’t before.